Two young gents pose for a photograph in an exotic location with their dogs, perhaps this was intended as a gift for loved ones at home? The two dogs are or indeterminate breed, but certainly both of Jack Russell type, one being wire haired and the other smooth coated. 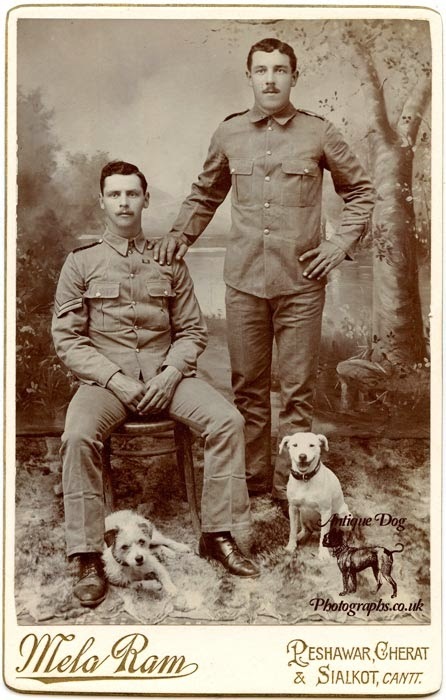 Both men wear British/Home Establishment pattern Khaki cotton uniforms. 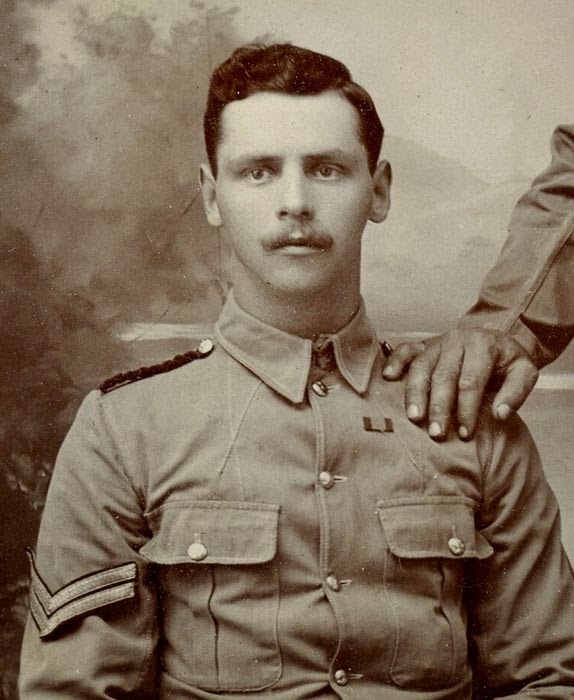 The seated Corporal also has a medal ribbon, possibly a South African Campaign medal, so he was certainly well travelled. 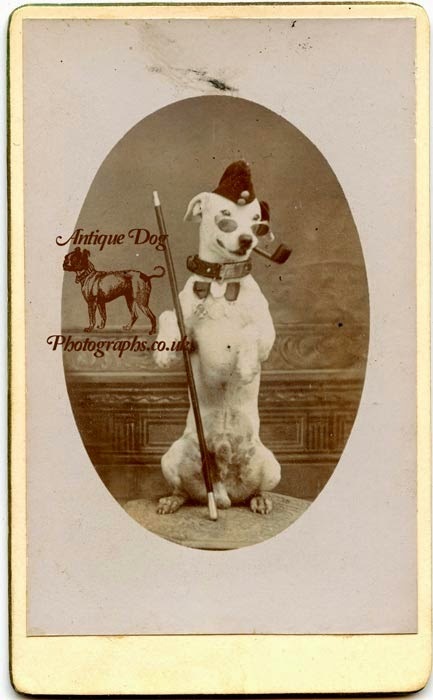 The two soldiers have had their dog posed with a Military swagger stick, cap and selection of medals, as well as glasses and a pipe! What a well trained and well behaved little dog he must have been. It is unclear as to whether the photographer of the more formal group portrait, Mela Ram, also took this fun image, as there are no photographers details on the mount. Mela Ram was a pioneering war photographer based in Peshawar. From the 16th century until the mid 1880s, Peshawar was controlled by Afghanistan. But following the Second Anglo-Sikh war in 1849, Peshawar became part of British India. Mela Ram marched with the British army, taking photographs of British military expeditions including those into into Kohat & Wazirsitan. Some other fantastic examples of his Solider portraits can be seen here and here. Mela Ram’s eldest son Labindranath and his three sons - Roshan Lall, Hiral Lall and Kishan Lall migrated to Dehradun with a battalion of the 5th Gorkha Rifles and set up a studio in 1947. The very same year Peshawar became part of the newly created Pakistan.